All operations of the council, its officers and employees. All appointments of the executive branch which by law must be approved or confirmed by the council. All questions pertaining to conflicts of interest and standards of conduct. The revision, codification and clarification of all ordinances and examination of all proposed ordinances and resolutions as to their clarity. Formulation of the agenda of the council. All matters pertaining to elections, initiatives and referenda. The rules of the council and any modifications thereof. The conduct, decorum and good repute of the council and the members thereof. Expenditures of funds appropriated for members of council, office of research and policy, council communications, and the office of the municipal clerk. Review of nominations for staff positions of director of council staff and municipal clerk. Recruitment and hiring of council director position. Annual performance evaluations of the municipal clerk and the council director. Matters pertaining to cable television in the office of communication, specifically related to the programming of City Channel 26. 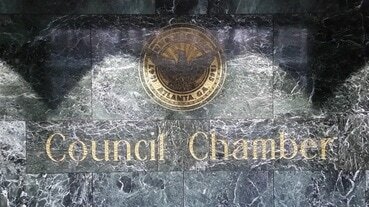 Matters related to the Board of Ethics, Elected Officials Compensation Commission, Atlanta Committee on Women, and other boards and bodies with subject matter under the purview of this committee. Conduct an annual review of boards and commissions and make a recommendation thereon to the appropriate standing committee of purview. Below is a list of all reports within the purview of the Committee on Council. Click here to see all audit reports.